This whole exercise started with a goal to find a new SAN/NAS solution to supplement or replace my NexentaStor implementations. At this time I think I will give FreeNAS another go and try to run it in test environment for a little while before deciding to push it into production. FreeNAS combines both enterprise and home environment features into a single product which I’d be interested in exploring further. 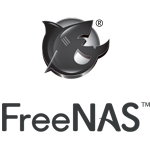 There are quite a few advantages that FreeNAS has over NexentaStor Community Edition. So far NexentaStor is performing great in prod but the hardware it’s running on is getting pretty old so when time comes to upgrade I will have a solution ready.